We have had the honor to make many films about the Japanese American experience during World War II but Kazuo Yamane’s story opened up a chapter unknown to us and most Americans. Hawaii, harboring important military facilities and 2500 miles closer to Japan than the West Coast, had a population consisting of nearly 40% Japanese ancestry when Pearl Harbor was bombed in late 1941. But unlike the mass incarcerations on the mainland only a small percentage of Japanese Americans were confined in Hawaii. The Nisei, the second generation American citizens, volunteered in massive numbers from Hawaii to serve in the US Army, both in combat and as intelligence personnel. And of all their exceptional heroics and important service, none had a more unusual and interesting war than Kazuo Yamane. Kazuo Yamane, first educated in the discriminatory Hawaiian school system, and eventually graduating from Waseda University, the Harvard of Japan, was drafted into the US Army just before the attack on Pearl Harbor. Plucked from the infantry ranks for his exceptional knowledge of Japanese, he would serve at the Pentagon, then a secret facility in northern Maryland, and finally under Eisenhower in Europe. 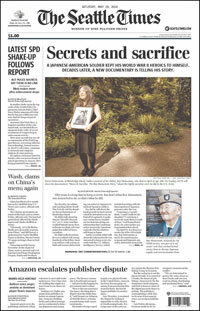 Most importantly, he would identify a secret document that would significantly help America’s war in the Pacific. Tyrone Beason of the Seattle Times has written a discerning and perceptive piece about Kazuo Yamane and the film, published on Veterans Day. We include a few paragraphs below. The entire review can be seen here. “Immigrant Japanese like Kazuo Yamane’s parents, a generation known as Issei, weren’t made eligible for U.S. citizenship until 1952 because of decades-old discriminatory policies aimed at excluding and marginalizing foreign-born Asians. “Still, they raised their U.S.-born children to love this country. NBC Seattle affiliate KING 5 created two pieces on the film recently. 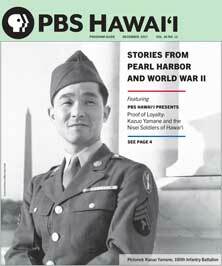 The first features Kazuo Yamane’s daughter Joyce, talking about the significance of her father’s service. It can be seen by clicking here. The second features Joyce and the film’s coproducer Lucy Ostrander. It can be seen by clicking here. We’re pleased to announce that Proof of Loyalty received the prestigious Legacy Award at the DisOrient Film Festival, in Eugene Oregon. We are currently planning screenings but have not yet confirmed venues and times. Check back soon for details. We want to thank Artist Trust for awarding Lucy Ostrander a 2014 Artist Trust GAP Grant in order to cover the costs of producing a closed-captioned version of HONOR & SACRIFICE as well as 200 DVDs. More info can be found here. HONOR & SACRIFICE has its own website. Go there for the latest news and screenings. The Seattle Times had a front page article about Roy. You can see it below and read it here. We’ve gotten great feedback from scholars. You can read what they’ve written here. In 2012 our feature-length documentary THE REVOLUTIONARY, a biographical film of Sidney Rittenberg, an American who became a member of the Chinese Communist Party and spent 34 years in the PRC premiered at the Seattle International Film Festival to two sold-out audiences. Subsequently, the film has inspired audiences all over the world. Besides festivals and a theatrical run in New York City, notable screenings include: the National Press Club in Washington DC., the European Parliament, the Pan-Asia Film Festival in London, and the Foreign Correspondents Clubs in Beijing, Shanghai, and Hong Kong. THE REVOLUTIONARY has its own website. Go there for the latest news and screenings. Copyright © 2006-2019 Stourwater Pictures, All Rights Reserved.